Patrick Carbone always appreciates feedback from his valued patients. To date, we’re thrilled to have collected 6 reviews with an average rating of 5 out of 5 stars. Please read what others are saying about Patrick Carbone below, and as always, we would love to collect your feedback. Excellent and professional service. Never a doubt about skills and services provided by Patrick. So glad to see next generation in place that will carry on this great practice. I have a very complicated situation with my dentures. I went to a different denturist to have implants placed and dentures made. Unfortunately, my dentures keep breaking. 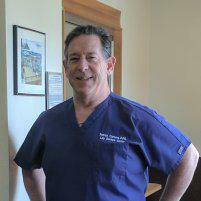 I went to Lilly Denture Center and Patrick Carbone has been amazing!! He has fixed my dentures so far three times. Fixing my dentures have been very challenging and he is always up for the challenge. I feel like I have found my forever denturist. I am truly grateful for Lilly Denture Center. I was completely devastated to learn I would have to get dentures. I was crying and the whole works. However once inside the office I was given understanding care and concern every step of the way. I was not happy to have dentures but it was a complete change in my life I was happy to smile and not cover my face or do a half grin any longer. I still had some issues of how I looked uncomfortable that god gave me the gums of a horse literally. I expressed this to Dr. Carbone and Him and his apprentice actually made me another pair at no cost to me that reduced the gum line without surgery. Something I was previously told was impossible. Now I walk around smiling all the time. In fact they fit so well that I don't even have to have adhesive to keep them in no matter what I eat. I don't worry about slipping and the smile actually looks better then the one I was born with. I think I was the biggest baby to walk into their office a emotional wreck at the idea, However I could not be more happy to share how wonderful I feel everyday with my beautiful confident smile. Thank you Patrick Carbone and staff for changing my life. Not only were you all friendly and worked with me every step of the way but they also become like family. They are not just a denture clinic, They are The #1 denture friends. I will be a patient for life and I strongly recommend them to anyone needing the care and quality they provide. Heck I would be happy to meet you in their office and talk to you in person if you would like. Can't say enough. I am a female in my early 40s. Extensive health issues, radiation, chemo has left me with deteriorating oral health problems. I cannot remember, the last time I had actually smiled with an open mouth. I had put off getting dentures for many, many years. Out of fear and not knowing if anyone could actually help me. I remembered my grandma with her yellowing and always bothersome dentures. I have a important career with DOD and it was getting to the point that people noticed that I was not able to smile. Thats when I found Patrick, without a doubt I can say that Patrick gave me my life back. By the very first visit I knew I was in good hands. He took all my fears, and fitted me with the most beautiful dentures I could ever ask for. He made them identical to the teeth that I used to have and they fit so well, nobody's even noticing that I am wearing dentures. Patrick's office is 100% family-based, it's very professional and has a welcoming ambience. I am so thankful that I found Patrick, and anyone who fears that it is not possible to have a smile again with dentures should rethink and give Patrick a call. I came for new dentures and that’s exactly what I got. Top of the line teeth that fit like a glove. I’m so pleased with his work that I’m telling everyone. Thank you all for great service and a beautiful smile! Great staff, very professional, love my new partial & now I have a million dollar smile. Thanks Patrick!